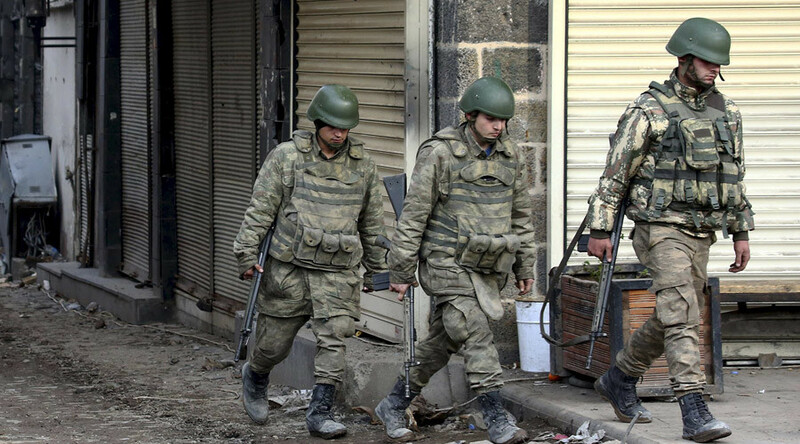 Kurdish crackdown: Is Turkey at war with its minority? The Kurdish people have become a key element in the Middle-Eastern turmoil, viewed as allies by the US and Iraq and enemies by key US regional ally Turkey. One of the world’s largest ethnic groups without a state, they have a long and turbulent history. Kurds originate from a diverse collection of nomadic tribes that lived in western Iran. They crystalized as an ethnic group sometime in the 11th or 12th centuries, but did not put substantial effort into creating a sovereign nation until the late 19th century, instead living as more or less in autonomous principalities. The Ottoman Empire had the biggest influence on the Kurdish lands and controlled them for a greater part of the time period since 16th century and right until its collapse. Persians had a significant impact of Kurds as well. In modern era the historically Kurdish lands are divided between Turkey, Iran, Iraq and Syria, where Kurds comprise 10 to 20 percent of the respective countries’ populations. Large Kurdish diaspora live in Armenia, Georgia, Russia, Lebanon, Israel, Germany, France, the UK, Canada and the US. The number of Kurds worldwide is estimated at over 30 million. The Kurds are a group noticeably diverse in terms of religion. The majority of Kurds are Sunni Muslims. A minority are Shiites, mostly living in Iran. Up to one million of Kurds living in Iran and Iraq are Yarsan, adherents of a syncretic religion stemming from a mystic branch of Shiite Islam. Up to 500 thousand, mostly living in Iraq belong to another Islam-influenced syncretic religion, Yazidism, which also incorporates some beliefs of ancient Mesopotamia. They were targeted by the radical Islamist militants operating in Iraq, who consider Yazidis devil worshipers. Some 200,000 Kurds living in Israel are Jewish. All four Middle-Eastern countries hosting large Kurdish population have a history of violence connected with Kurdish nationalism, but the extent varies greatly. Iran has the least trouble and was most successful in peacefully integrating its Kurds. They served as cabinet ministers and other senior officials, were represented in the parliament, granted cultural freedoms and otherwise respected both before and after the Islamic revolution of 1979. There were hostile episodes too. There were Kurdish tribal insurgencies in monarchial Iran in 1926, during World War II and again in 1967. In the first post-revolution years there was a bloody Kurdish uprising in the Islamic Republic, as Kurds felt suppressed by the new government. In modern Iran, Shiite Kurds are treated better than Sunni Kurds and political activism may result in repercussions. Since 2004 a Kurdish militant group called Party for a Free Life in Kurdistan, which splintered from Turkish militants, has been fighting a guerrilla war against Iran. Iraq is the opposite example, where Kurds suffered harsh persecution and staged rebellions practically every decade since their territories left Ottoman sovereignty. In the late 1970s Baghdad launched a policy of Arabization of traditionally Kurdish lands, particularly those rich in oil around Kirkuk, seeing it as a way to pacify the unruly people. The policy went from forceful deportations to mass slaughter during the Iraqi-Iranian war of the 1980s that triggered a new uprising in Iraqi Kurdistan. The Iraqi government used tanks, warplanes and chemical weapons to kill some 180,000 Kurds and sent an estimated 1.5 million fleeing from across the border to Iran and Turkey. After the US invasion in 2003, Iraqi Kurds grew in power and are now independent from Baghdad in most issues. Their peshmerga militia proved to be an effective fighting force after the terrorist group Islamic State sent the Iraqi army fleeing and sought to expand into Kurd-controlled territories. With the central government distant and struggling with insurgency, Kurds seized the opportunity to get a payback for the injustices of the past by illegally expelling Sunni Arabs. The conditions for Kurds in Syria went somewhat along the same lines as they did in Iraq, but with much less violence: Damascus used discrimination against Kurds, suppressing their culture and forcing them to take Arab names. It used deportations and the Arabization of Kurdish territories. Since the 1960s hundreds of thousands of Kurds were denied Syrian citizenship. The start of the war in 2011 weakened the Syrian government’s grip on Kurds, and Damascus and Kurds struck a non-intervention deal. Just like Baghdad left Iraqi Kurds to defend themselves from militants, Damascus did with Syrian Kurds. Unlike Iraqi Kurdistan, Syrian Kurdistan has become a major target for the oldest foe of Kurds – Turkey. Kurds living in Turkey have grudges against their government stretching back to the 19th century, when the Ottoman Empire started centralizing its power. Unsettled by the encroachment on their traditional freedoms by Istanbul, Kurdish landowners started resisting. The first Kurdish uprising that declared independence from the Ottomans and the Persians as its goal came in 1880. Kurdish nationalism was fueled further by the rise of secularism and nationalism in the Ottoman Empire and its participation in World War I. In 1916 and 1917 the Turks targeted the Kurds, whom they suspected of collaborating with Russia. After the Ottoman Empire was defeated and partitioned by the winning European powers, Kurds had a chance for self-determination under the Treaty of Sèvres of 1920, but Turkey’s independence war closed that door. Several uprisings were staged by Kurds in the following decades, to which Ankara responded with martial law, deportations and the resettlement of Kosovar Albanians and Assyrians to Kurdish lands. A short period of thaw and integration in the 1950s was halted by the 1960 military coup in Turkey. The latest Kurdish insurgency associated with the Kurdistan Workers' Party, or PKK, started in 1978 and continued on and off since then. 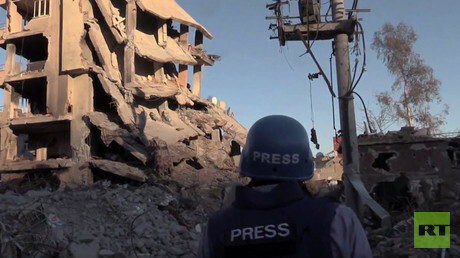 Over three decades the conflict has claimed at least 45,000 lives on both sides. The latest and ongoing hostilities between the Turkish military and Kurdish militants are yet another result of the war in Syria and Iraq. In September 2014 Islamic State fighters besieged the Kurdish town of Kobani close to the Turkish border, sending hundreds of thousands of refugees across the border. The town was defended by Syrian Kurdish militia called YPG supported by US airstrikes and US-backed Arab units from the Free Syrian Army. While Turkey allowed Kurds, including wounded YPG fighters, cross the border, it would not allow any armed people to go back into Syria to fight against IS militants. The policy – enforced with tear gas and water cannons – prevented fellow Kurdish fighters from Iraq and Turkey help their Syrian fellows or YPG members go back and fight for their homes after recovering in Turkish hospitals. Ankara also wouldn’t allow military supplies sent across the border and tried to pressure the US to stop airdrops of weapons and ammo to Kobani. The obstruction alienated Kurds and caused worldwide protests. In Turkey, a pro-Kobani protest deteriorated into violence and resulted in dozens of deaths, which arguably triggered an escalation of enmity. The tension sparked into violence after the bombing of a pro-Kurdish gathering in Suruc in June 2015, a town located just 10 km from Kobani across the border. While IS claimed responsibility for the attack, many Kurds accused the Turkish government of failing to prevent it or even facilitating it. 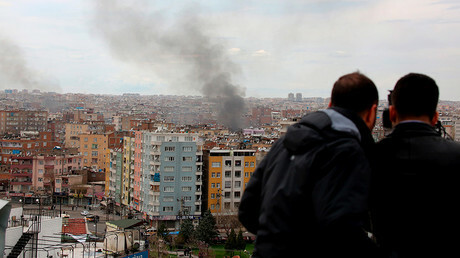 Some Kurdish radicals conducted retaliative attacks against Turkish police officers and Ankara responded with a massive police and military crackdown. This ended two-year peace talks between Turkey and PKK and launched the third PKK insurgency in Turkey. The Turkish military acted en force in Iraq and Syria delivering airstrikes at what are called training camps from Kurdish militants. Kurds rather than IS militants were the preferable targets for Turkish warplanes, judging by the estimated casualties. In Syria, Turkey is also regularly reported as using cross-border artillery fire to attack Kurdish militias. 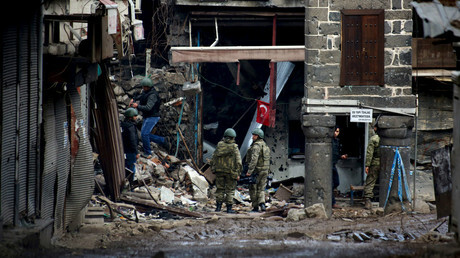 Meanwhile at home Ankara launched a massive crackdown on predominantly Kurdish areas in the south-east, imposing indefinite curfews in many Kurdish districts and waging gun, mortar and tank battles against PKK fighters. The areas are under a government lockdown, with the Turkish government preventing foreign journalists or inspectors from assessing the situation on the ground. Pro-Kurdish activists accuse Turkish forces of numerous violations of human rights, including extrajudicial killings of civilians, torture and other crimes. The Turkish government insists that it only does what it has to do stop Kurdish terrorism, but some activists call it collective punishment of the entire Kurdish people. 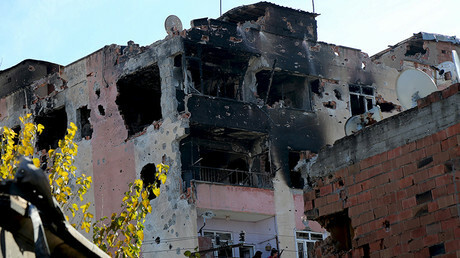 The accusations may be consistent with the spree of attacks on pro-Kurdish Peoples' Democratic Party (HDP), the offices and rallies of which were bombed or attacked in other manner ahead of last year’s election. The escalation of violence in Turkey is also fueled by the growing power of Kurds in Iraq and Syria. This week Syrian Kurds announced the formation of an autonomous federation, a move that brings them closer to a full-fledged independence. In both countries Kurds secured greater autonomy over the past few years by being relentless fighters, and their example cannot but encourage Kurds in Turkey to go the same path rather than seek compromise with an uncompromising Ankara. The mutual antagonism is exactly what makes countries plunge into civil wars, as Syria may attest.